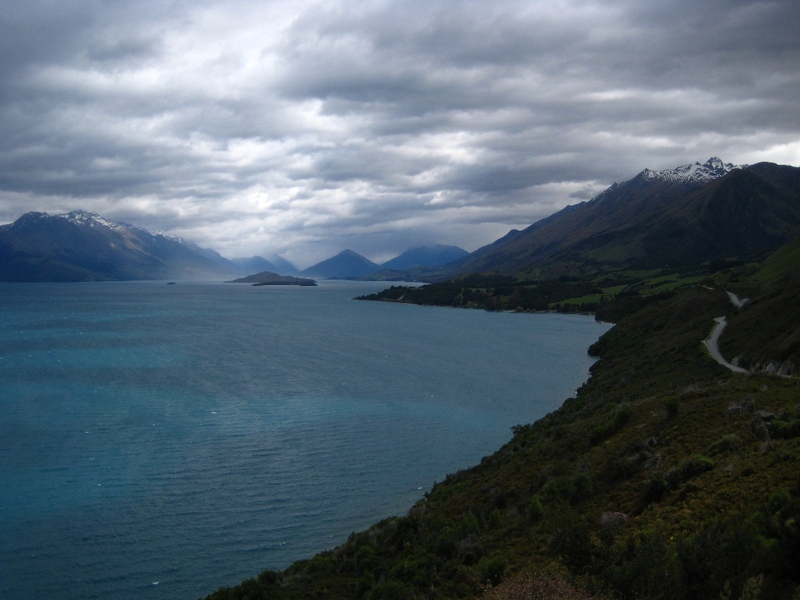 Lake Wakatipu, on the road from Queenstown to Glenorchy and the Routeburn track. 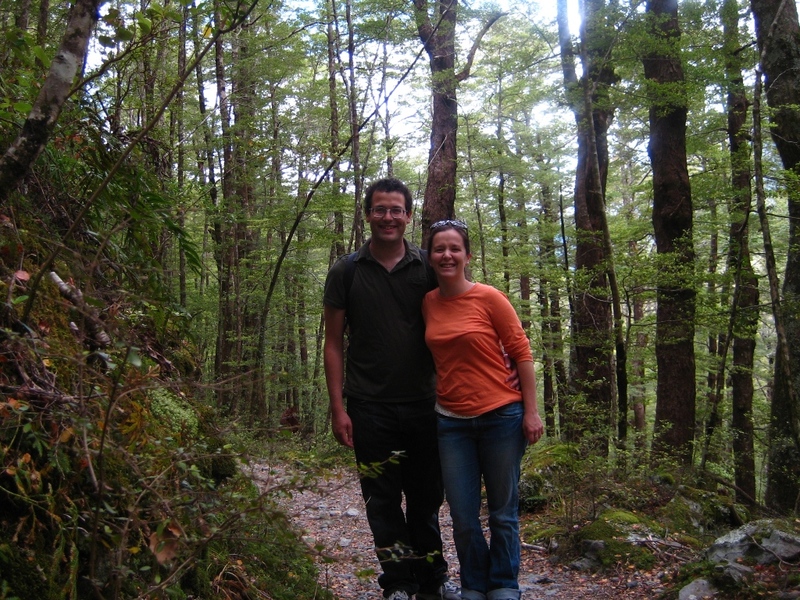 We did a day-hike on the northern end of the famed Routeburn Track, one of New Zealand’s nine Great Walks. 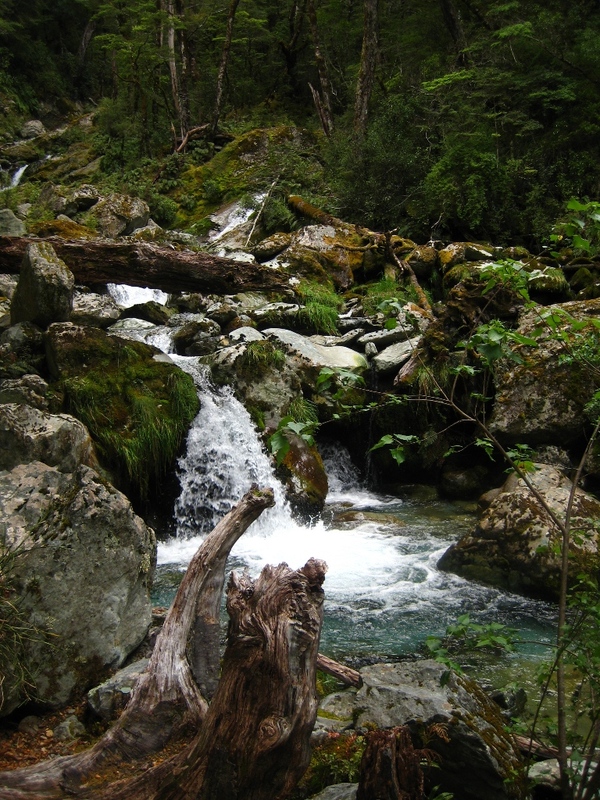 It was along the Routeburn River through an ancient beech forest, and as you’d expect on a hike of such distinction, it was beautiful. The foot of Bride's Veil Falls, which we could see cascading over the mountains above us from quite a distance. 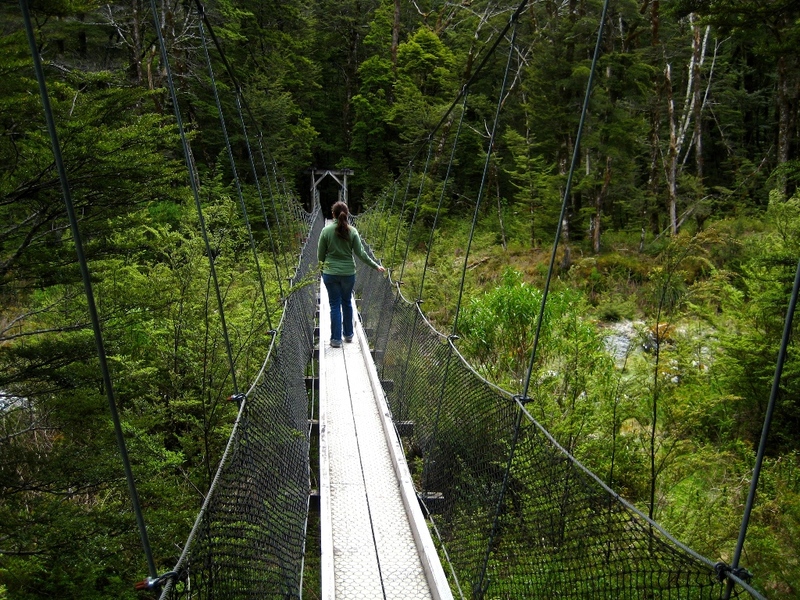 The track had several swing bridges, which made us feel like Indiana Jones all over again. One thing we’ve really loved about the West Coast is the speed with which the terrain changes from mountains to lakes to coastline, from untouched tangly wilderness to green grazing hills. One gorgeous spot is practically on top of the next, the landscape ever-changing. 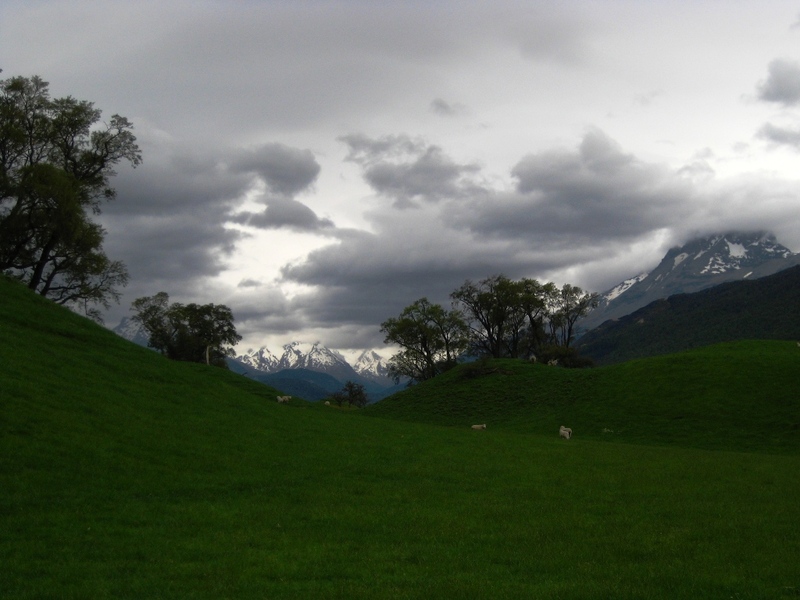 In the shadow of the Southern Alps, these sheep have one of the best views in New Zealand. Heading north toward the glaciers and ocean of the West Coast, we passed through Wanaka, stopping for a bit by yet another alpine lake. Wildflowers and peaks on the shores of Lake Hawea. We tried to do a glacier hike at Franz Josef Glacier, but it and Fox Glacier both had their heads in the clouds, literally, and were inaccessible due to rain and wind. 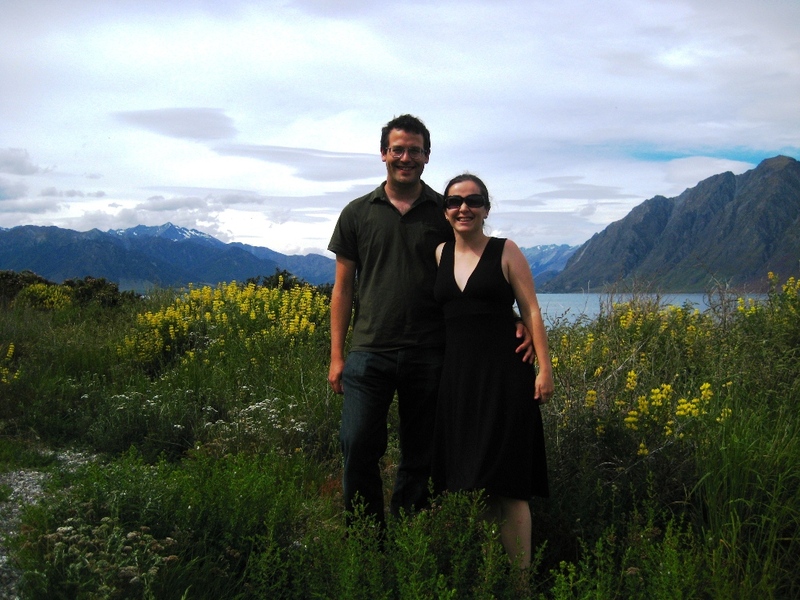 We’re continuing to the upper regions of the West Coast, then on to Marlborough area for more national parks and wine! This entry was posted on December 2, 2008 at 2:09 pm and is filed under Uncategorized. You can follow any responses to this entry through the RSS 2.0 feed. You can leave a response, or trackback from your own site. The scenery is breathtaking. I literally would have peed myself while walking across those swing bridges. Holy poo! !